What Is A Paper Score? Which Way Do You Fold Scored Cards? Why It Makes A Difference! Simply put a paper score is a crease in the paper. 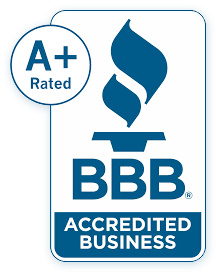 Throughout our site you will read that our blank cards are scored or pre-scored. This means we have professionally added a crease to the paper which ultimately makes folding your cards easy. From hand scoring to machine scoring there are different methods to creating a score line in the paper. The method usually has to do with the use or type of paper being scored as well as the available equipment. Learning how to properly fold pre-scored blank cards and greeting cards can make all the difference in the world. When you fold card stock without a proper paper score you are unlikely to get a crisp, clean fold, as the stock will most likely crack where folded. To get a feel for how difficult it is to neatly fold card stock without pre scoring, attempt to neatly fold the cardboard of a cereal box. View the differences between a folder that was scored before folding, and one that was not. Many of our customers would like to make their own folders from our card stocks, but wonder whether they will able to fold it on their own without damaging the paper. We do not recommend hand folding any card stock, as you are unlikely to get the results you are after. 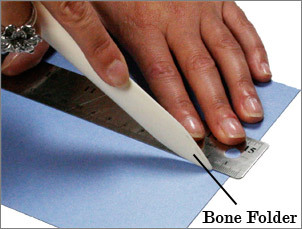 If you want to make your own folders, there is a simple hand scoring tool you can use to help you create a crisp, clean fold – a bone folder. Bone folder tools are available at LCI Paper, and are typically under ten dollars. To use one, simply place a straight edge where you want your fold to be, and run the bone folder along this straight edge to make a clean score line, then fold. There really is a proper way to fold scored cards & doing it properly really makes a difference. A score line or channel line creates two distinct sides of a card. One side has a recess or indentation, the other side has a bump or raise. The proper way is to fold into the raised side. When properly folded cards will have a cleaner, more even fold with less chance of cracking. This entry was posted in Video and tagged blank-cards-type. Bookmark the permalink.